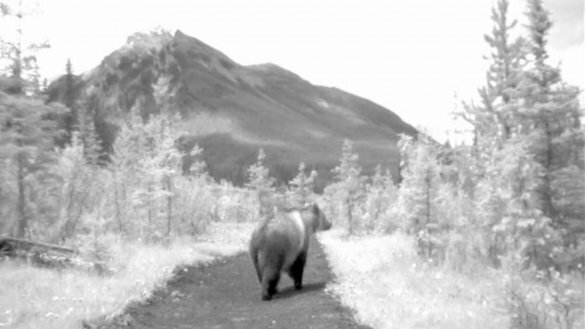 Project Description: BEAR 71 is a rich interactive project, installation and social narrative that at the heart of it all features a 20 minute interactive documentary that raises awareness about the intersection of animals, humans and technology. This multi-user experience launched alongside an installation at the Sundance festival entitled “Bear 71 Live”. The narrative follows the real life of a female grizzly bear in Canada’s Banff National Park from the moment she is tagged and collared by park rangers to the moment of her untimely death.The story is narrated by Mia Kirshner from the bear’s perspective, but users witness it through real footage collected from over 1 million photos take by motion triggered cameras that encompass the park. The NFB approached Lance to create an immersive experience to bridge the digital and real world. The experience utilized facial recognition, augmented reality, motion sensors and surveillance cameras to turn festival goers into animals who roamed Sundance. “Everyone I’ve talked to who’s experienced it is at the same time kind of in awe and sad and somewhat creeped out—I think that’s good,” says Bear 71 co-creator Leanne Allison. “For me, it’s a success if people want to shut down their computers and go crawl under a tree for a while.” And while the documentarian remains in sync with her environmentalist roots, she quickly came to the idea of merging the story of Bear 71, a radio-collared grizzly closely monitored from 2001 to 2009, with a parable for a tech-dominated society. 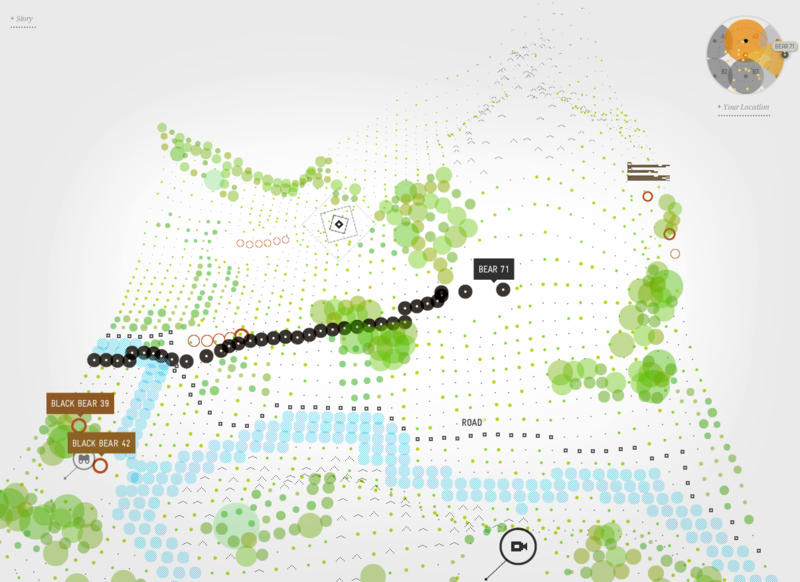 A defining feature of Bear 71 is its choice to eschew gorgeous nature photography—a staple of wildlife documentaries—in favor of a rich interactive grid. Vancouver artist and Webby Award-winner Jeremy Mendes trekked hundreds of miles to Banff to hike with Allison and brainstorm. “We knew we would roam around in some kind of world [in Bear 71], and Jeremy came up with the idea of it having to be completely technological, and it couldn’t be something that looked like the landscape or a map,” Allison says.